The camera is becoming an integral part of Facebook Messenger — so much so that users now have direct access to it from the home screen of the messaging app. Facebook has revamped its Messenger’s camera to offer a higher quality, faster experience. It has also added several new camera-related features that make Messenger more of a hybrid between iOS 10’s iMessage and Snapchat. Song says our world is becoming more visual — a picture is worth a thousand words, so why not send one instead rather than type it all out? It’s why Facebook has been adding more visual features in Messenger such as video calling, instant videos, and the company is testing a Snapchat Stories-esque live component called Messenger Day. More than 2.5 billion emojis, photos, stickers, and videos are sent every day on Messenger. 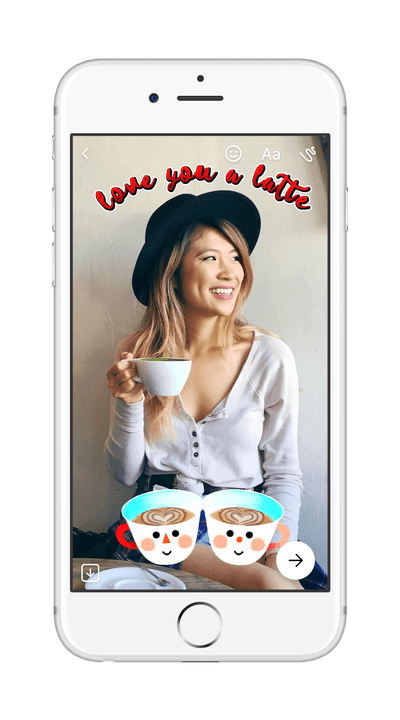 The new camera experience in Messenger allows users to add 3D effects, artistic filters, stickers, emojis, text, and doodles to photos and videos. It’s similar to what most messaging apps are implementing — iMessage after the iOS 10 update introduced message animations, the ability to doodle and add stickers to images, and more; even Google Allo places a strong emphasis on sticker packs, text emphasis, and a higher level of customization in how we interact with each other on smartphones. Facebook says more than 2.5 billion emojis, photos, stickers, and videos are sent every day on Messenger, and the company wants to enhance the experience for its next billion users. But it’s hard to overlook the elephant in the room. 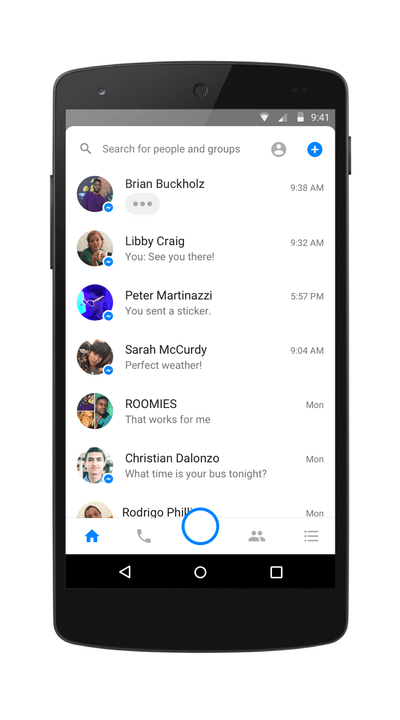 Messenger’s new camera features carry striking resemblances to Snapchat’s most basic features. For example, both platforms now have a flower crown face-tracking 3D mask. The interface itself isn’t too far apart in design — there’s even a large circle at the bottom center of both apps now. In fact if you’re a Snapchat user, many of Messenger’s new camera features will come naturally. You can add various types of 3D masks and effects like a fox face, reindeer horns, large eyeballs, as well as static stickers, frames, filters, and more. Some of these are existing assets that have been available on the Messenger platform, but many are new thanks to partnerships with various artists and influencers around the world. 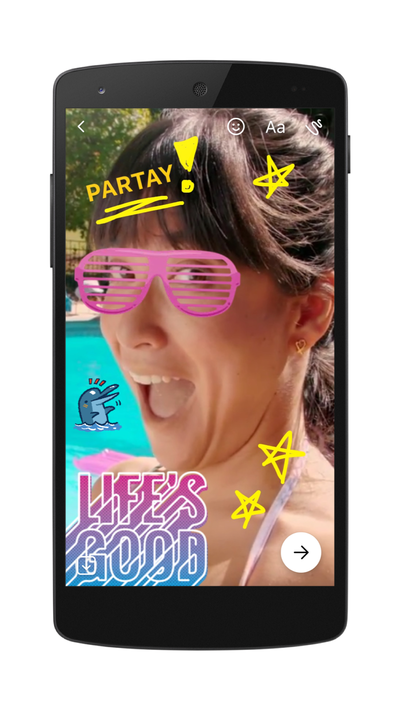 Song thinks Messenger’s stickers and 3D effects are “a little different” from Snapchat, because “it’s layering it into the conversations you’re already having.” Snapchat is ephemeral, but your photos and videos in Messenger are here to stay as a part of your shared photo album. To start, the camera shutter button on the home screen of Messenger will be holiday-themed — and there will be plenty of holiday frames, masks, stickers, and effects to slap on photos and videos as the update rolls out globally. 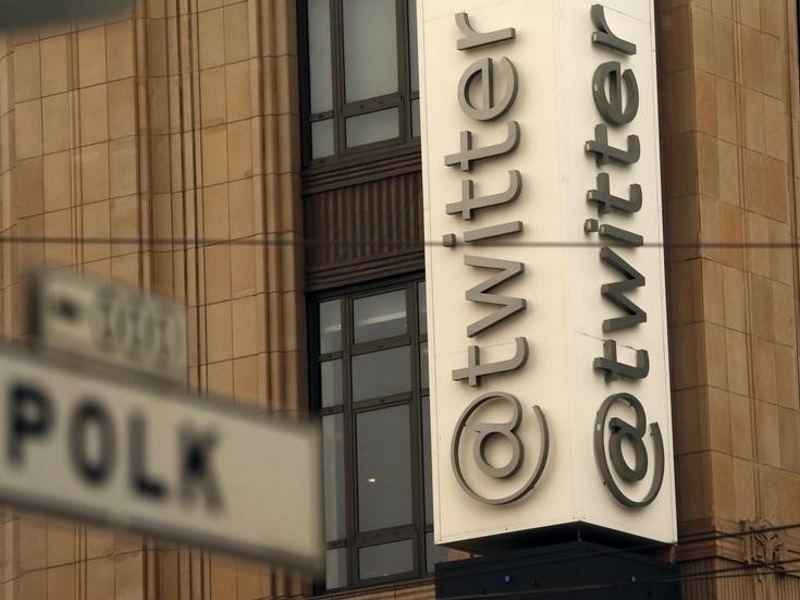 The social network is hoping to introduce new content for special occasions and holidays like Easter. Song said the team has been trying to distinguish Messenger as a different platform from Facebook — you don’t even need a Facebook account to use the messaging service. It’s all about the next billion users — Messenger now hosts more than 33,000 chat bots from various companies, and just last week the company unveiled 17 social games you can play in directly in conversations. “As people’s behavior shift and as the world grows and changes, we want a product to adapt to that and match that and be really great for everyone else who hasn’t found Messenger yet,” Song said. The improvements to the Facebook Messenger camera are rolling out via an update in the coming days — you can grab it when it’s available from the App Store or the Google Play Store.